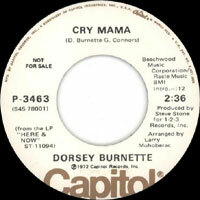 Chanteur et contrebassiste Country US né William Dorsey Burnette Jr., le 28 Décembre 1932 à Memphis (Tennessee). 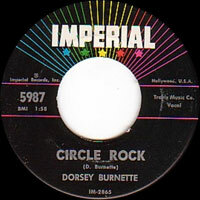 Dorsey Burnette a fondé en 1954, avec son frère Johnny, le Rock 'n' Roll Trio. Compositeur réputé, il a travaillé surtout pour Ricky Nelson. 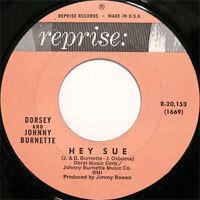 Après la dissolution du groupe, Dorsey et Johnny font quelques singles ensembles et se séparent en 1960. Dorsey a fait cavalier seul chez Abbot (57), Surf (57), Imperial (59), Era (60), Coral (60), Merri (60), Era (61) etc.... Il survécut quinze ans à son frère Johnny, décédant d'une crise cardiaque, le 19 Août 1979 à Canoga Park (Californie). 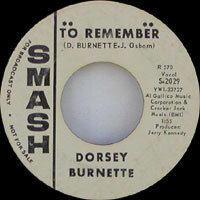 Dorsey Burnette is best remembered today as the brother of Johnny Burnette and a member of Rock 'n' Trio, and as the father of Billy Burnette. He had a solo career of his own, however, during the early '60s, and also wrote over 350 songs covered by the likes of Rick Nelson, Jerry Lee Lewis, Waylon Jennings, Glen Campbell, and Stevie Wonder, among many others. 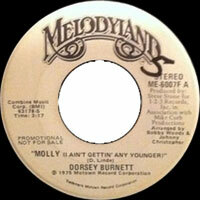 Dorsey Burnette was born on December 28, 1932, in Memphis, the older of two sons of Dorsey Sr. and Willy May Burnette. He got his first guitar, a Gene Autry model, from his father at age six, at the same time that his father gave four-year-old Johnny a similar instrument — the two immediately smashed them. His father eventually convinced the pair that if they learned to play guitar, they could be like the players on the Grand Ole Opry. Dorsey was a tough kid with a violent temper and not a lot of smarts holding it in check, and he was constantly in trouble in school and spending time with the wrong crowd. By the time he was a young teenager, Dorsey was hanging out at the Poplar Street Mission with future recording artist Lee Denson, when he wasn't getting arrested for truancy or fighting. He competed in the Golden Gloves as an aspiring boxer, and it was at the 1949 championship that he met Paul Burlison, another aspiring fighter. 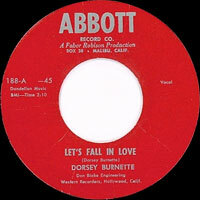 They made note of their shared interest in music, but Burlison's induction into the Army in 1951 prevented him from hooking up just then with Dorsey and Johnny, who had begun playing together in the late '40s. 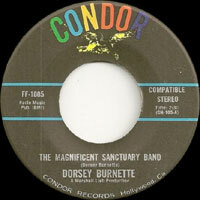 They were good enough to get sponsored by a local appliance store on one of the Memphis radio stations, doing country music, and they played gigs throughout the Memphis area, principally for beer money, fun, and girls — he and his confederates worked hard and played hard, and music and the possibility of success that it offered probably kept Dorsey out of jail. 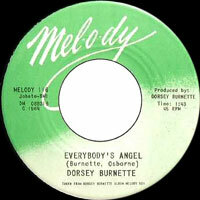 Dorsey, Johnny, and Burlison finally hooked up in mid-1952, working as a trio and within other, larger groups. They cut their first record, "Go Mule Go"/"You're Undecided," for the tiny Von label in 1954, their lineup augmented by a fourth member, fiddler Tommy Seeley. 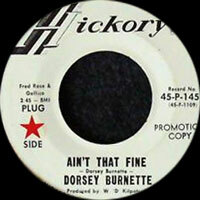 That record may have sold fewer than 200 copies, but Dorsey Burnette wasn't to be stopped — he claimed that the group auditioned for Sam Phillips at Sun, but was rejected. Dorsey worked his day jobs — picking cotton, deckhand on a riverboat, fisherman, carpet-layer, and electrician's apprentice at Crown Electric. While he was there, a day laborer a little younger than Dorsey who had grown up in the same housing project quit his job to try making it in music after cutting a couple of records. 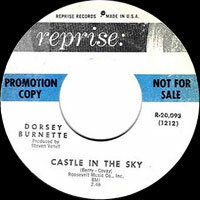 Elvis Presley's example, going off as part of a trio with Scotty Moore and Bill Black, brought the Burnette brothers and company to the decision to formalize their work together. 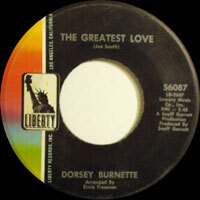 Burlison and Burnette's subsequently layoff from Crown Electric made the decision a no-brainer. 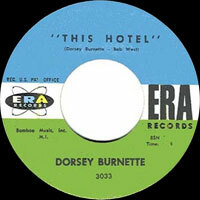 As a result, in early 1956, they were off to New York, where Dorsey Burnette and Paul Burlison got jobs as electrician's assistants while Johnny went to work in the garment district in Manhattan's West 30s. They decided to try out for Ted Mack's Amateur Hour, which was one of the top new talent showcases in the country, just at the time when Elvis Presley — now signed to RCA Victor — was burning up the airwaves with "Heartbreak Hotel," and were picked to play on the program. The group, known as the Rock 'n Roll Trio, won three successive shows broadcast over the ABC network; by the time of the third they had professional management, and soon after that they were signed to the Coral label, part of the Decca Records (now MCA) family of labels. the Rock 'n Roll Trio didn't last, either as a trio or a name, as they failed to find any hits — despite a killer version of "Train Kept A-Rollin'" to their credit — and by late 1957 they were getting billed as "Johnny Burnette & the Rock 'n Roll Trio." 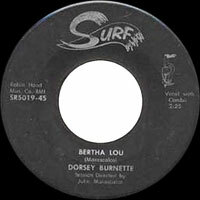 This was probably as much a marketing ploy as a reflection of the reality that a fourth member, in the person of a drummer, had joined the group — Johnny Burnette was a good rock & roll name to push in lieu of the group's moniker, although Dorsey was the one who did most of the songwriting and had also sung lead on some of their numbers. He couldn't stomach the change in billing or his younger brother's sudden push to the front, and finally quit the group and returned to Memphis just prior to the group's scheduled appearance in the Alan Freed jukebox movie Rock Rock Rock. He tried assembling his own group, Dorsey Burnette & the Rock 'n Roll Trio, but they never caught on and disbanded before 1958 was over. He tried reconstituting himself as a solo act and got an offer to go out to California to appear on the Town Hall Party (the West Coast's leading country music showcase), rejecting the chance to work the Louisiana Hayride. He moved his whole family — including Johnny, who was no longer recording, under his name or any other — out with him and struggled to make ends meet, working as an electrician and writing songs in his spare time. It was Burnette's brashness in walking up to the home of Ozzie and Harriet Nelson — famous from television and radio as entertainers, and the parents of Ricky and David Nelson — and asking to speak to Ricky that got him his break as a songwriter. Rick Nelson literally pulled up on his motorcycle, accepted Dorsey's introduction, and had him and Johnny audition right there. 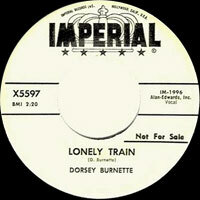 He ended up recording a dozen of their songs, most of them written by Dorsey Burnette, and his success with "Waitin' in School" got the Burnettes a new contract with Imperial Records and Dorsey a hookup with Imperial's publishing division, Commodore Music. Roy Brown later covered Dorsey and Johnny's "Hip Shakin' Baby," and Dorsey managed to get a solo hit in 1959 on the Era label with "Tall Oak Tree," a song that Rick Nelson had rejected. 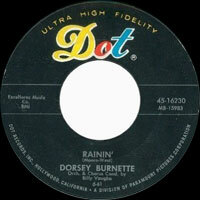 Ironically, given Johnny Burnette's prominence, Dorsey's first hit came five months before his brother finally reached the charts with "Dreamin'." 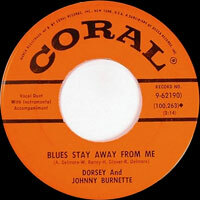 The two successes led Coral Records to dig into their vaults and release a 1957-vintage single of "Blues Stay Away from Me." The Burnettes never had another hit, although Dorsey kept writing and recording long after "Tall Oak Tree." His contract was sold to the Dot label (now owned by MCA), and he cut three singles and an album during the six months he was there. During this period, eight-year-old Billy Burnette made his recording debut on the maudlin "Little Child," which mercifully wasn't released until 1992. 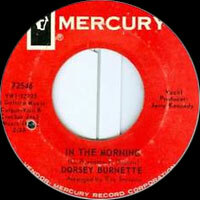 Dorsey Burnette's family life took a tragic turn from which he never fully recovered in 1964, when Johnny Burnette died in a drowning accident. The surviving brother, driven by guilt or depression and his self-destructive nature, became a chronic alcoholic and drug abuser, his musical abilities and reliability suffering in the process as he staggered from failure to failure across a dozen labels over the next 15 years. 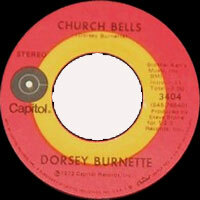 Dorsey found some belated comfort in Christianity, becoming "born again" in the 1970s and returning to where he started, in country music. 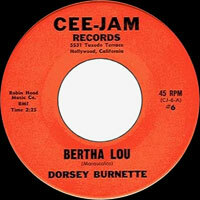 His country recordings for Capitol Records got him pegged as "most promising newcomer" by one music organization that never recognized his earlier activity in rock & roll, and revitalized his career. By then, Burnette was appearing in small venues and playing to anyone who would pay him, getting into fights occasionally, and taking too many drinks and too many pills. 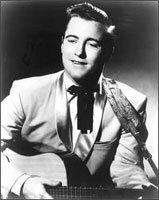 In his shows, he would do his newer songs and a few of the old rockabilly numbers like "Tear It Up," which he counted as country music. Somehow, he never found the right label once the Capitol contract was over. In 1979, however, he signed a contract with Elektra Records and began recording with fellow former rockabilly star Jimmy Bowen. 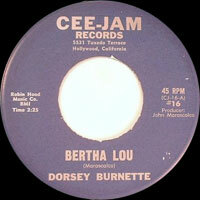 Things looked promising, and Burnette, whose fame in England had never subsided (American rockabilly stars being treated like Olympian demigods anywhere but America), even supposedly did a recording session with Led Zeppelin (according to rumor). 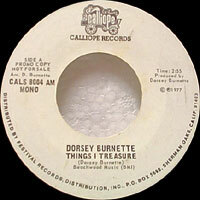 The first single by Burnette and Bowen had just been released when Burnette died of a heart attack on August 19, 1979. Among those who performed at the benefit concert organized on behalf of Burnette's widow by Delaney Bramlett were Kris Kritofferson, Tanya Tucker, Roger Miller, and Glen Campbell. 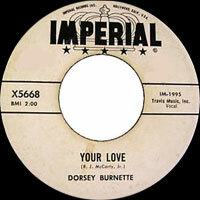 Dorsey Burnette will probably always be best remembered as a member of the Rock 'n Roll Trio in association with his brother Johnny, their work spread between the MCA and Capitol/EMI labels (which took over the Liberty catalog), but he spent most of his time in music as a solo act, whether he was recording or writing songs. 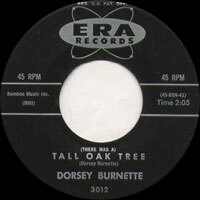 Apart from "Tall Oak Tree" and "Hey Little One," he recorded an impressive array of soulful pop and rockabilly numbers, eerily recalling Elvis Presley's 1950s and early-'60s sound (only Burnette's songs are better), most of which are worth owning. 07/1987 2 LP 12" HOLLYWOOD HCD-501 (US) GREAT SHAKIN' FEVER - Great Shakin' Fever / Don't Let Go / Dying Ember / Rainin' In My Heart / Sad Boy / He Gave Me Hands / Good Good Lovin' / A Full House / Feminine Touch / It's No Sin / The Creator / The Biggest Lover In Town / Buckeye Road / That's Me Without You / No One But Him / Cry For Your Love / The Rains Came Down / A Country Boy In The Army / Somebody Nobody Wants / It Could've Been Different / Little Child / With All Your Heart / Look What You've Missed / Gypsy Magic / I Would Do Anything.